Pipette.com offers an amazing selection of laboratory bench top vacuum pumps as well as peristaltic pumps. Providing compact footprints and low volume operations while efficiently vacuuming your samples, these vacuum pumps are essential for any laboratory working in cell cultures or require the removal of liquids from dishes, flasks, culture bottles, centrifuge tubes, plates, and more. 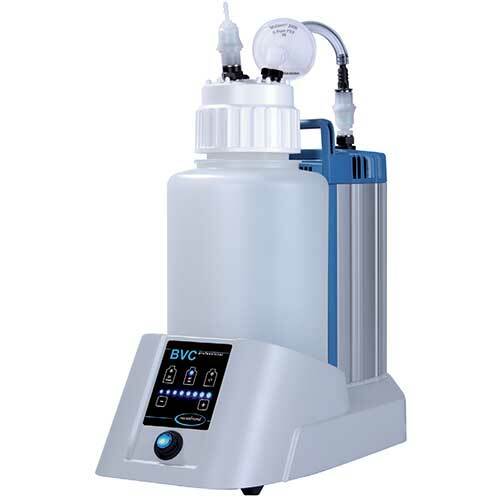 Providing brands such as Eppendorf, BrandTech, Unispense, and LabTech, Pipette.com offers only the highest quality laboratory vacuum pumps and peristaltic pumps on the market. Whether you are running a break through pharmaceutical research company, a manufacturing lab, or even an undergraduate research lab at a university, Pipette.com can provide you with a laboratory pump that will fit your requirements. Vacuum pumps provide oil-free vacuum pumping for any of your needs. Whether you are aspirating water from bottles or pulling media out of cell cultures, there is a vacuum pump that will fit your need. Decreasing process filtration times by providing high power vacuum suction to aspirate solutions, vacuum pumps are efficient tools in any laboratory. Supporting high flow rates to increase pumping speeds and reduce operation times, the vacuum pumps are designed to be light weight and easily transferred between not only workstations but in and out of safety hoods and chemical fume hoods found in many laboratory spaces. Providing premium automatic dispensing and variable speed settings, these pumps can handle many applications. These applications include vacuum filtration, degassing, impregnation, drying chambers, rotary evaporators, distillation, gel dryers and gas analytical systems. With advanced engineering and complex designs, these vacuum pumps are built to withstand years of extensive laboratory work. Peristaltic pumps are very versatile laboratory machines, allowing for not only aspiration with automatic dispensing, but also provide the feature of reverse-flow. Reverse flow allows for various dispensing and aspirating operations which are suited for accurately dispensing liquids ranging in multiple viscosity from aqueous solutions to medium syrups. Designed with compact footprints in mind, these peristaltic pumps take up minimal bench top space to allow more room for operation while also allowing the pumps to be placed in compact spaces such as fume hoods. Like many models of pipettes, these pumps utilize the mechanics of positive displacement, allowing for greater accuracy and measurement with minimal loss of sample. Designed with a rotor which compresses a flexible tube carrying sample, the peristaltic pump moves both sample and air at a constant rate at ambient pressure towards the outlet. 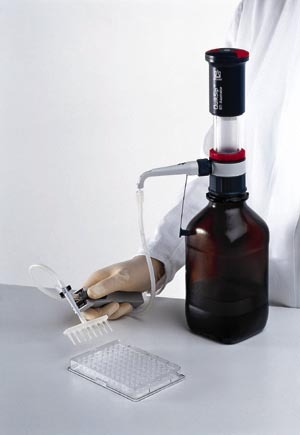 Conveniently, these pumps may run continuously or they might also be indexed through partial revolutions to deliver small amounts of liquid rather than complete samples. 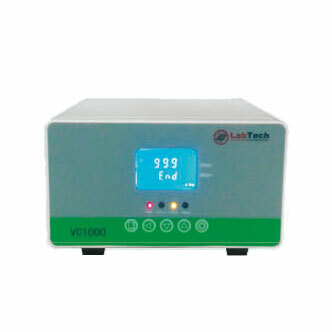 The LabTech VC1000 Vacuum Controller is a light, compact, and incredibly easy-to-use tool that allows users to optimize evaporation experiments. An uncontrolled vacuum risks too rapid or too slow evaporation, which could cause loss of vapor. The VC1000 Vacuum Controller allows users to more accurately control their LabTech rotary evaporators or vacuum pumps. 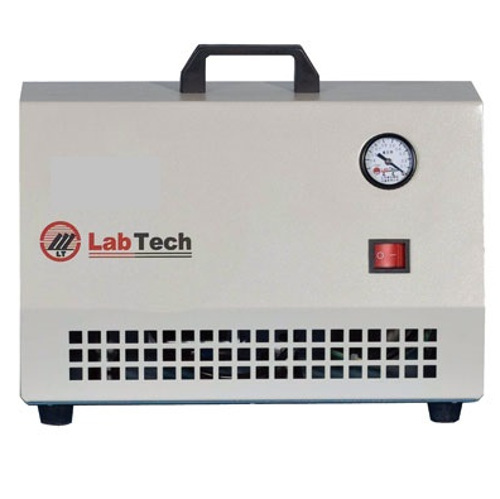 LabTech VP Vacuum Pump Series are oil-free products with low noise and high efficiency. Units are portable and versatile with a tough, lightweight housing and carrying handle. All VP Vacuum Pumps feature a large vacuum volume with the power to work with high viscosity samples. The surface and integral parts are designed and coated to be anti-corrosive.